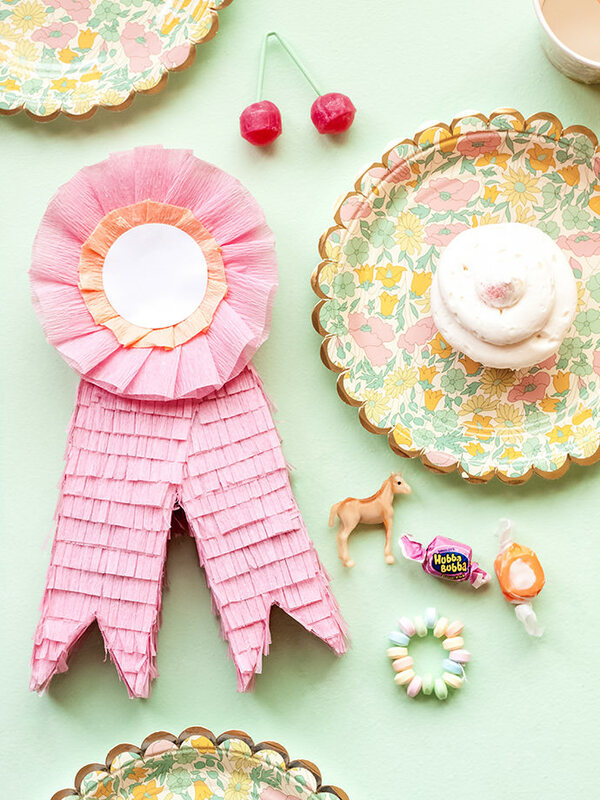 Saddle up, y’all – it’s Derby time! 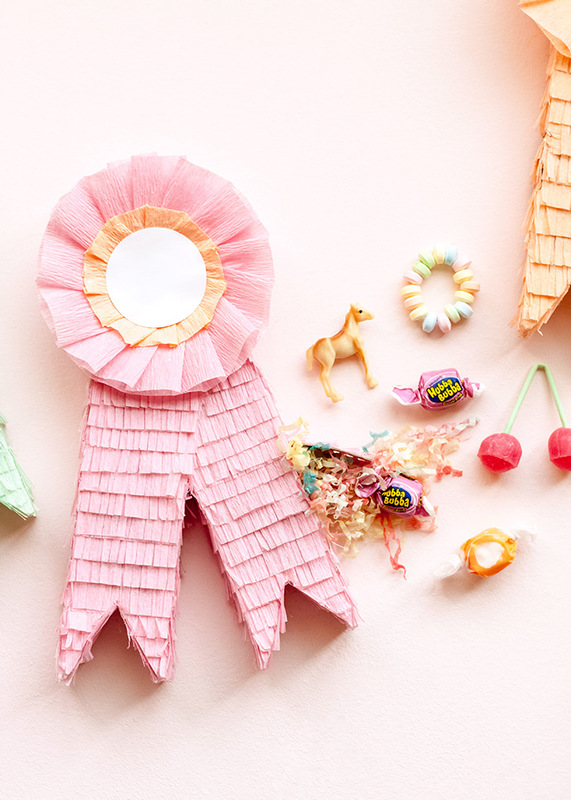 Mother’s Day is approaching as well, so these DIY prize ribbon piñatas can serve double duty. 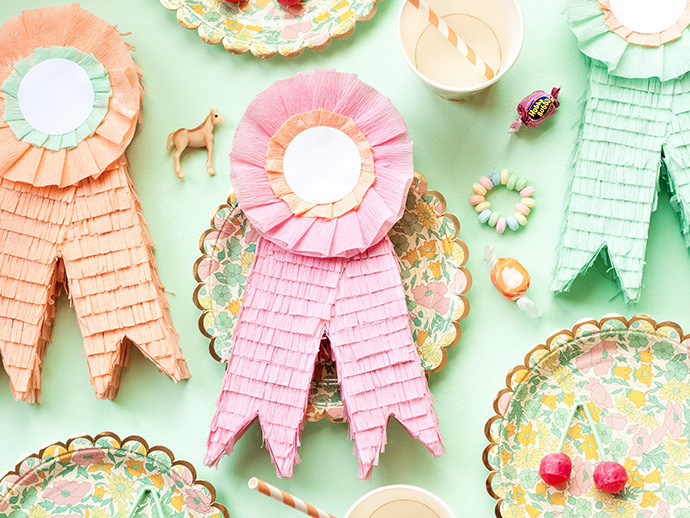 Throw a small Derby celebration for the kids, and hand out adorable prize ribbon favors, or fill them with goodies to celebrate the #1 Mom! You could also throw a county fair party! They’re cute enough to hang on the wall when it’s over, and I just might have to put one in my office. 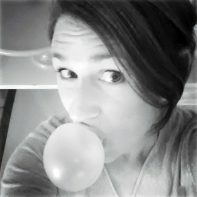 You can make these in any size, and fill with Derby mints, little toy horses, candy, or bath salts and other “mom” things. 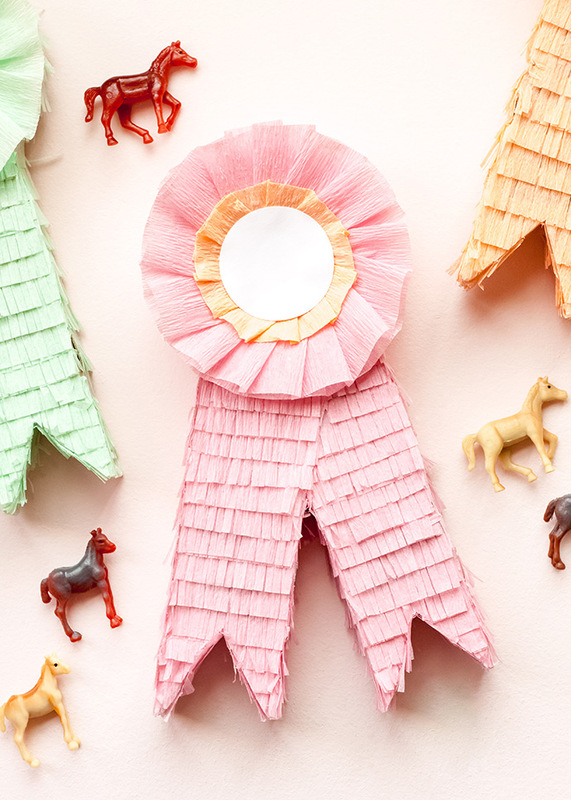 Don’t forget to make this Prize Ribbon Derby Dessert to go with your piñatas! 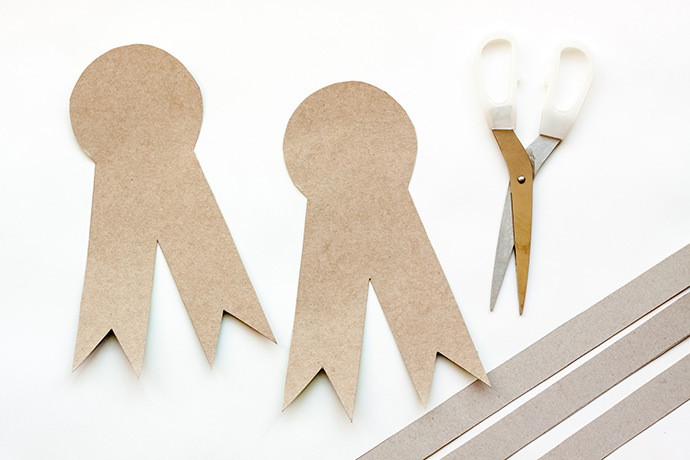 Create a template for your ribbon using cardstock, a pencil, and scissors. 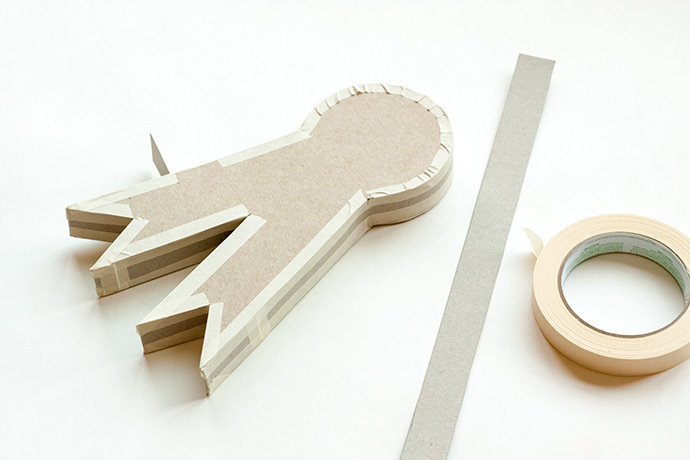 Cut out a 4” circle using a precision compass or template, and two 8 ¾” x 2” strips. Cut a triangle out of the bottom of each strip. Lay the circle over the two strips to look like a prize ribbon, with the triangles on the bottom, and hold the pieces down on your cardboard cereal box while you trace the outline twice. 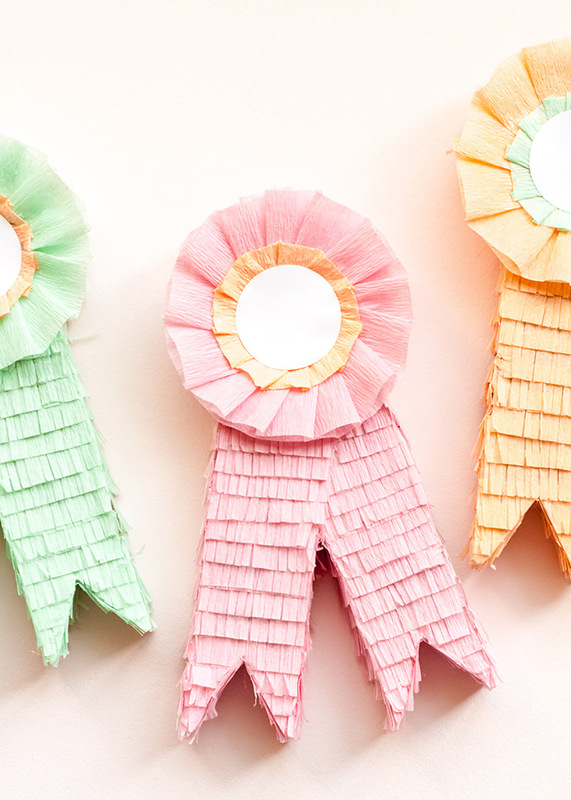 Cut out the two prize ribbons, and several 1” wide strips of cardboard. 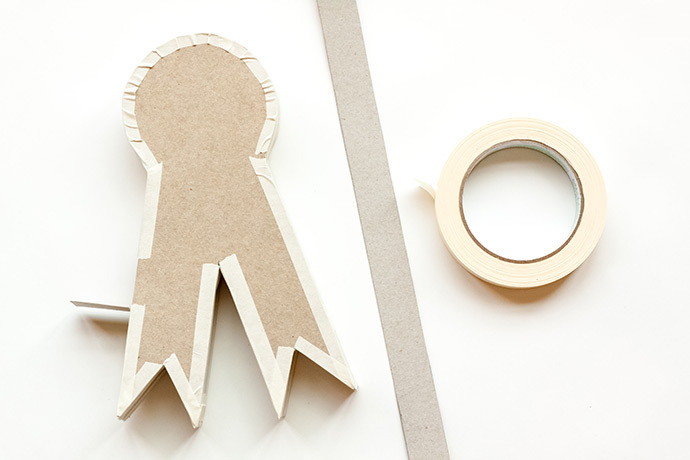 Line up the edge of one prize ribbon with the edge of a cardboard strip, and stick them together using multi-purpose tape. 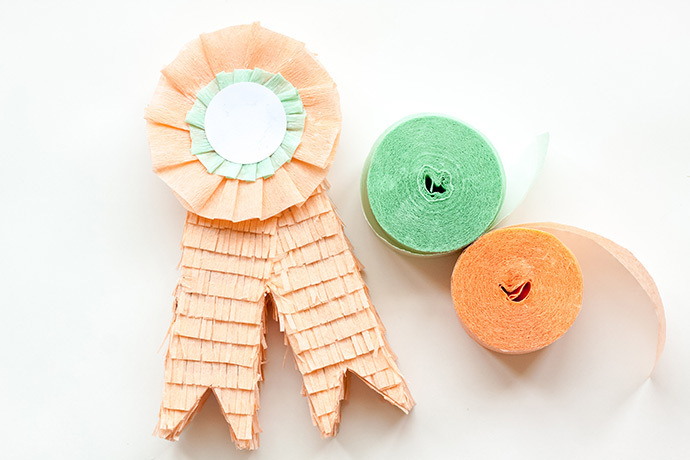 Run cardboard strips around the entire prize ribbon, but on one side, bend a strip back about 1.5”, and do not tape that piece to the prize ribbon. This will be the little door to make it accessible for filling with prizes! 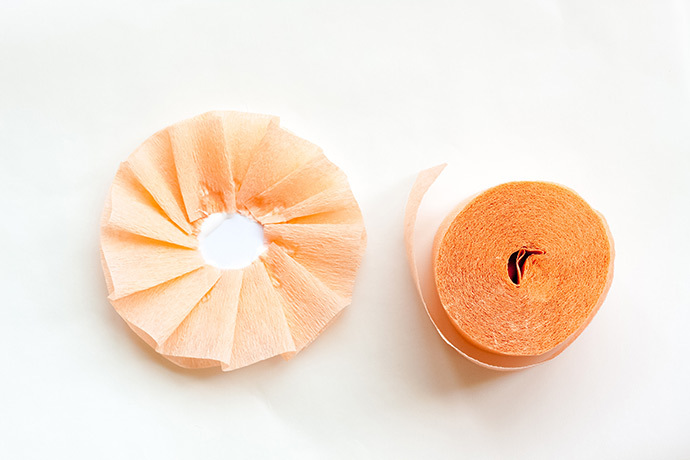 The tape will have to be a bit “ruffled” around the circular part of the ribbon. 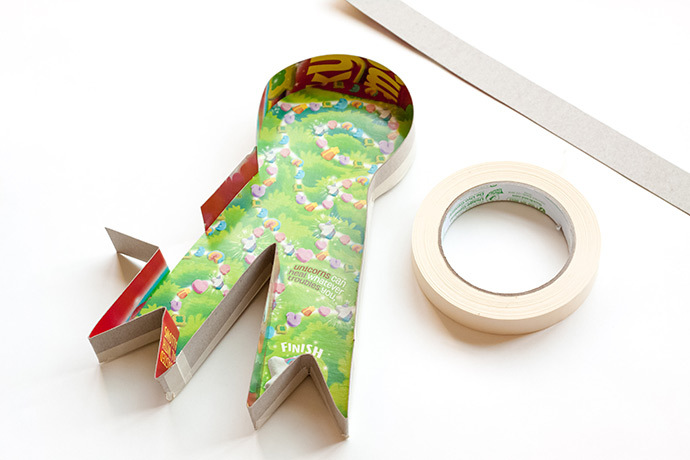 You will have to tape cardboard strips together in a few places to cover the entire ribbon. 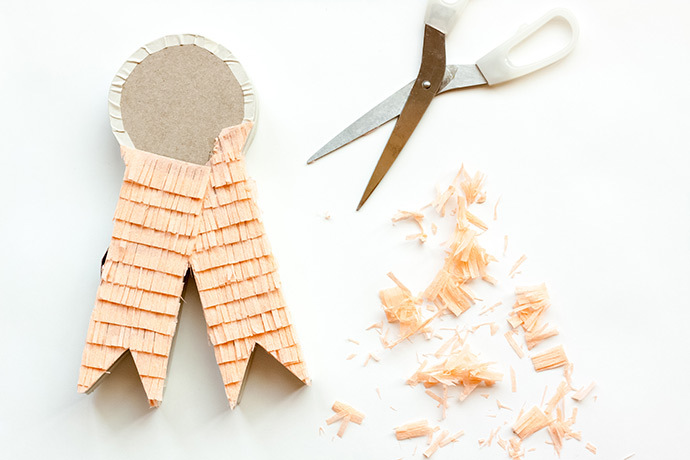 Tape the second cardboard ribbon to the top of the cardboard strips, without taping down the little door. 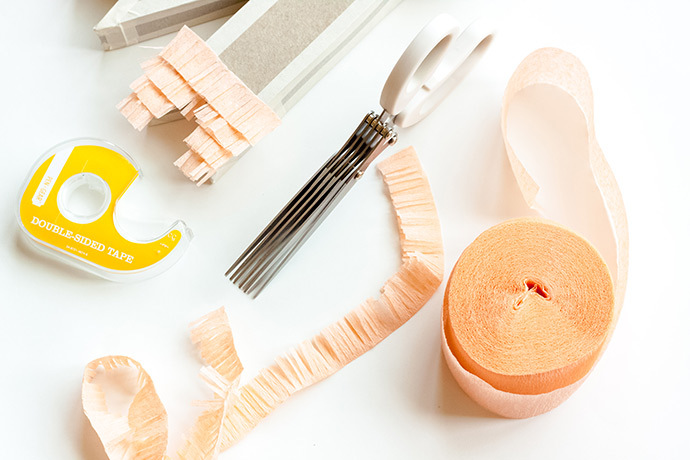 Fold your streamers in half, and use fringe scissors to fringe the unfolded side. 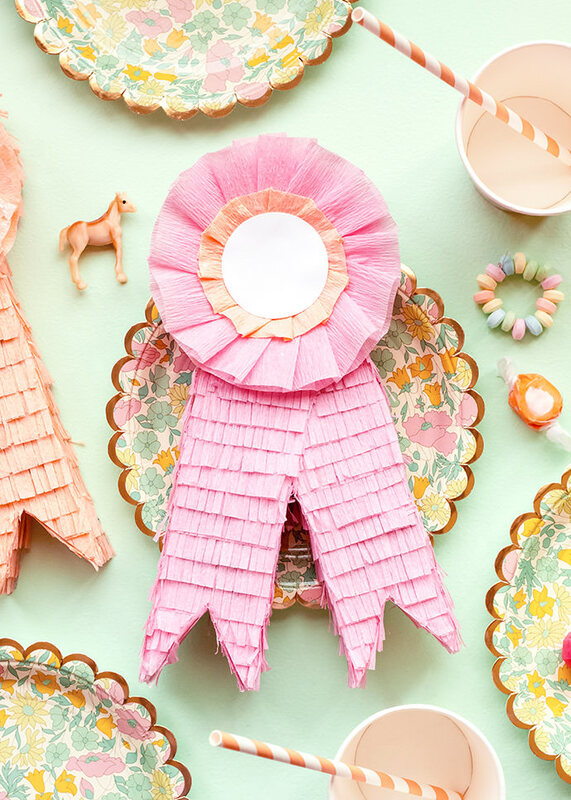 Use double-sided tape to stick the fringe to the prize ribbon, starting at the points on the bottom. I stuck the tape directly on the piñata, and placed the fringe on it with some hanging off the sides. 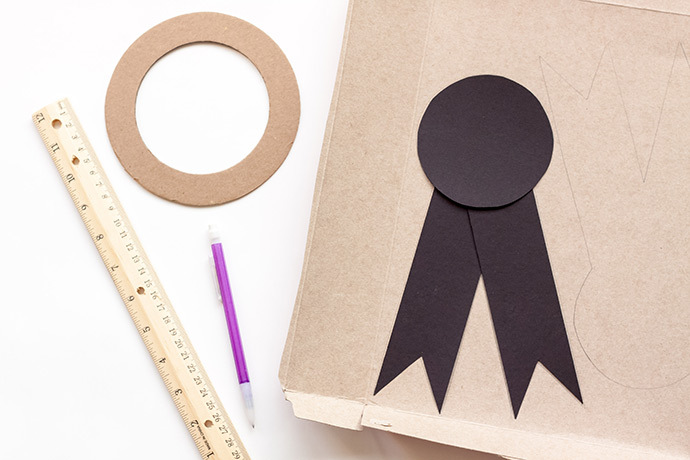 Use your ribbon template to draw a line where the ribbons would overlap, up to the bottom of the circular part. Place your tape and fringe at the edge of that line. Trim the fringe off around all edges. You may need to lift it a bit by the line in order to trim that edge. Place fringe on the second ribbon, from the bottom to the top. 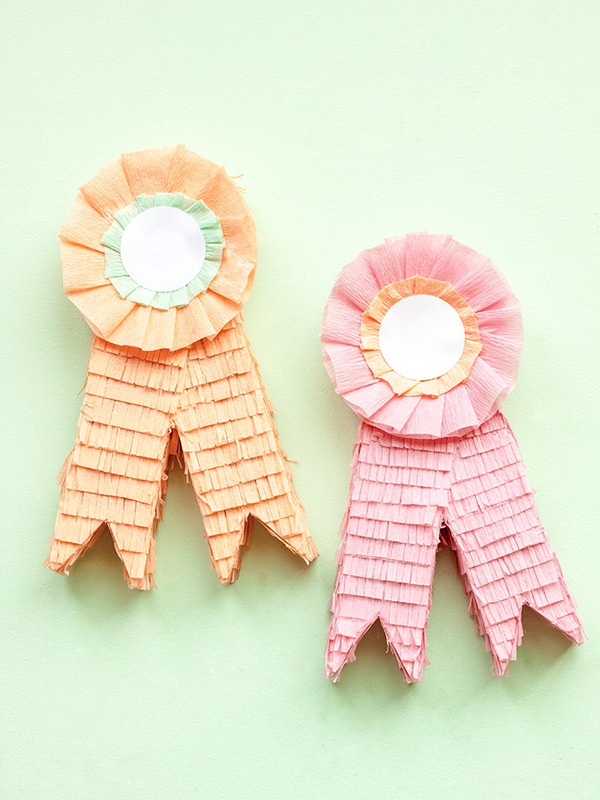 When you get to the place where the ribbons should overlap, place the tape at the very edge of the first ribbon’s fringe. 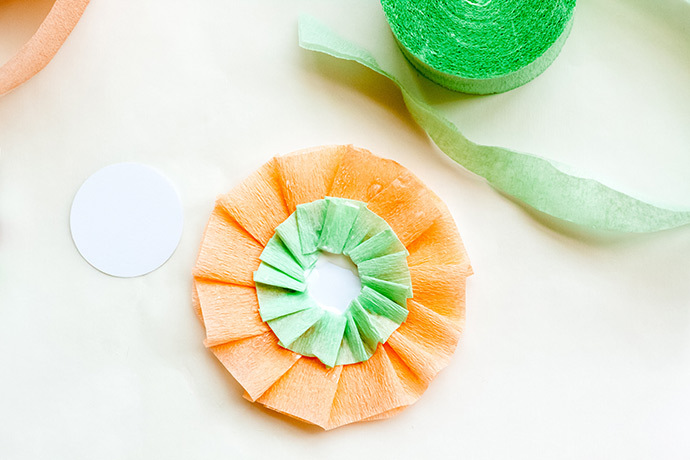 Trim all sides once you reach the circular part. 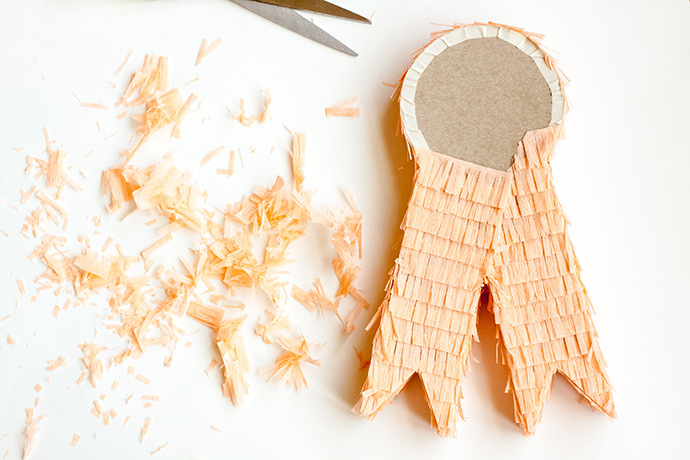 Cover the sides of the piñata in fringe, from the front of the prize ribbon, to the back. Start at the bottom points, and work to the middle. Start at the bottom on the sides as well, and work to the middle of the top, from both sides. You may add some extra fringe at the top, where the two sides meet to make it look fully covered. Trim the fringe from the back side. 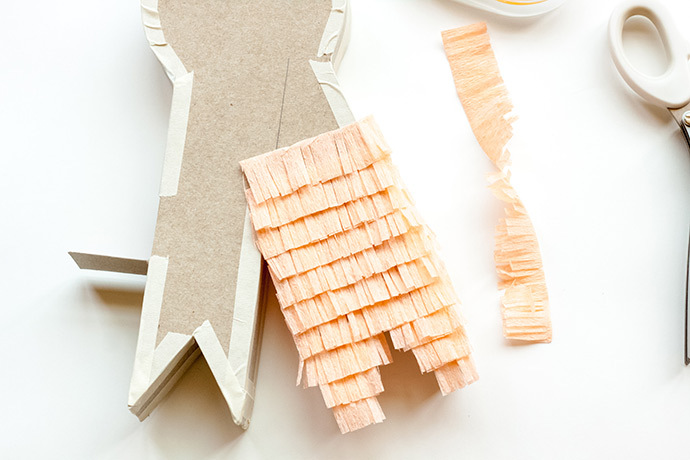 Cover the entire back side of the piñata in fringe, including the circular part this time. 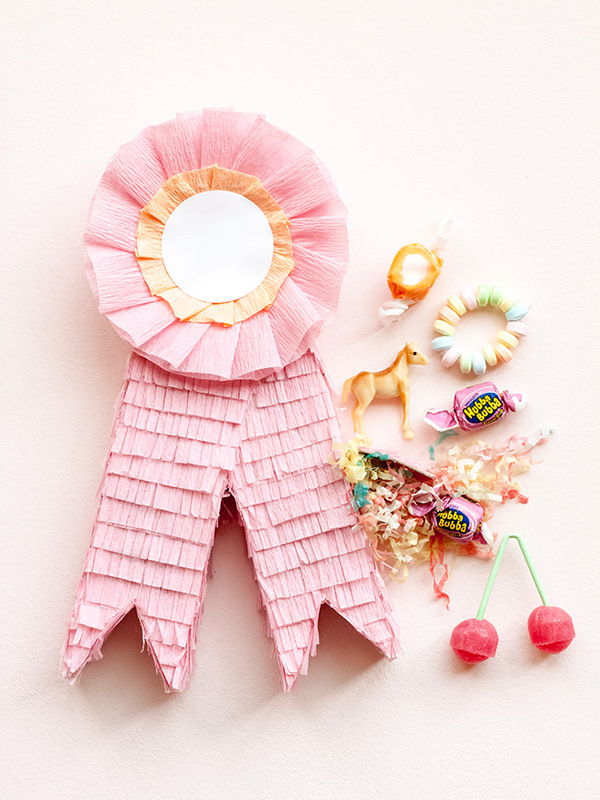 To create your rosette, cut a 4” circle out of white cardstock, and glue to the front, circular part of the piñata. 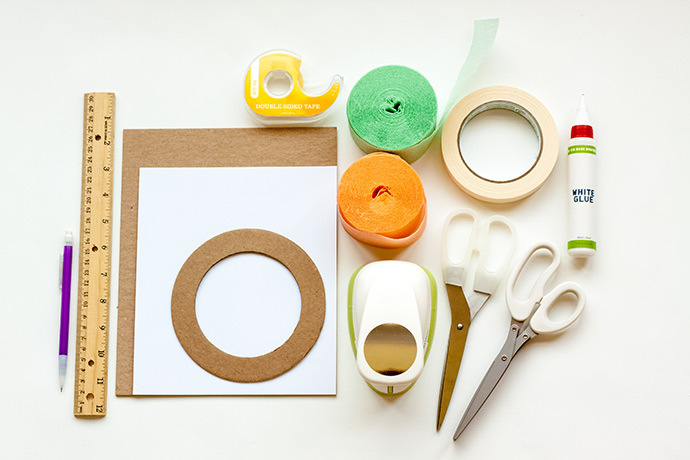 Use your circle punch to cut two 2” circles. 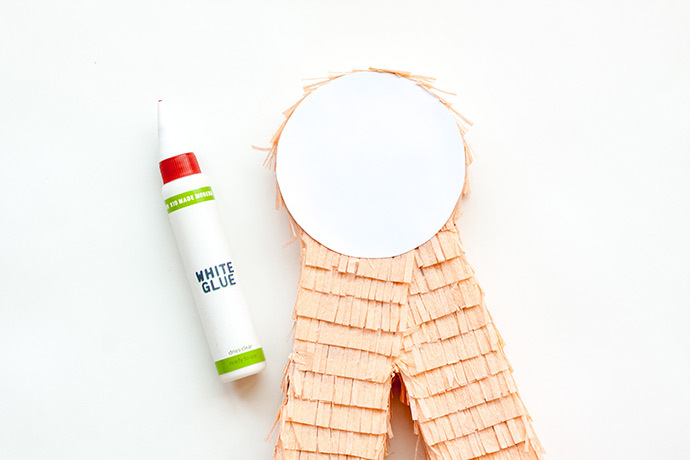 Place glue around the edge of one of the circles, and glue streamers around the entire circle. 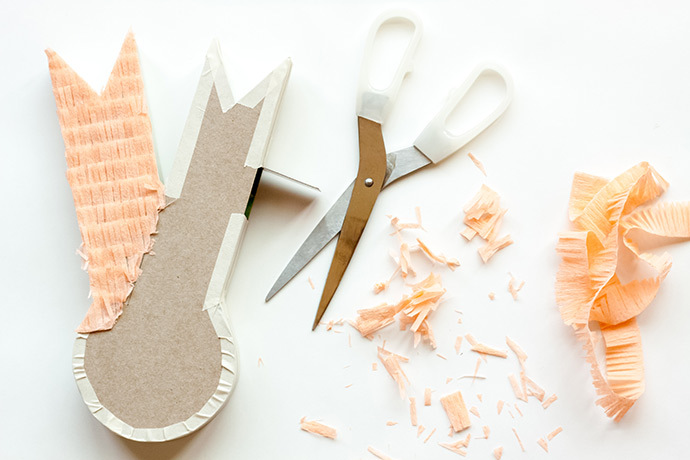 Fold the edge of the end – under, and glue down. You will have to “ruffle” the streamer into the glue to make it go around nicely. Repeat step 7 with a second layer of streamers, folding the streamer around into the glue a bit more. 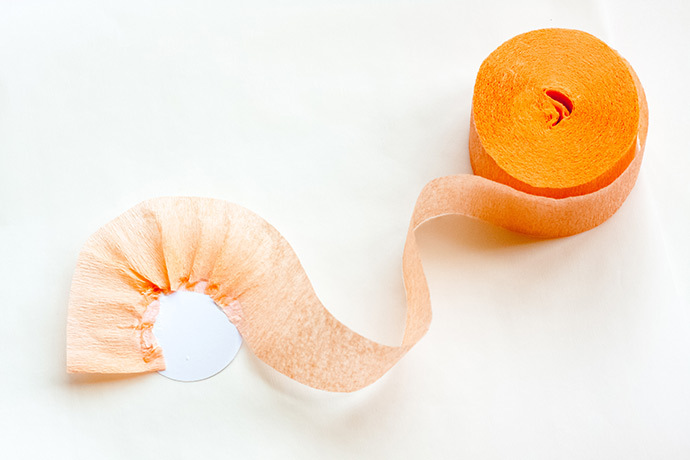 Use a second color of streamers, and fold the streamer in half. 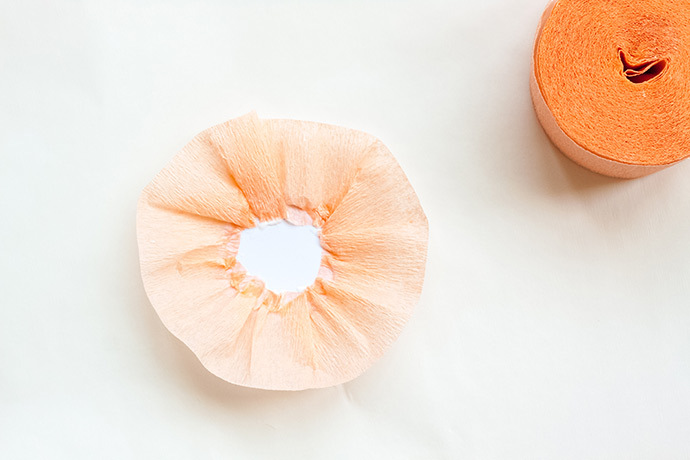 Glue the second color around the middle of the circle, folding it into the glue. 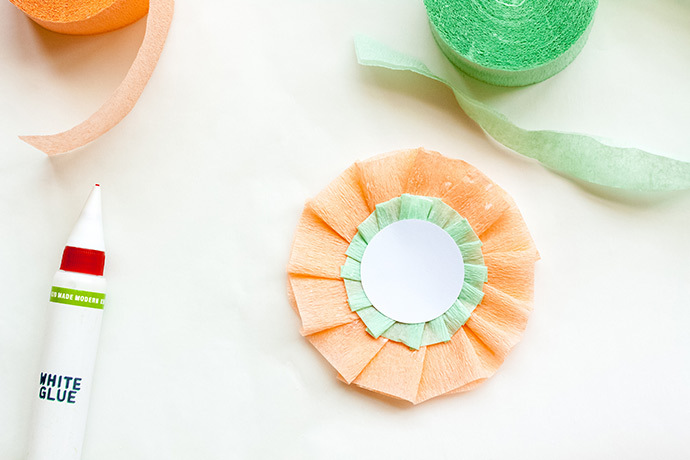 Glue your second cardstock circle onto the middle of your rosette. 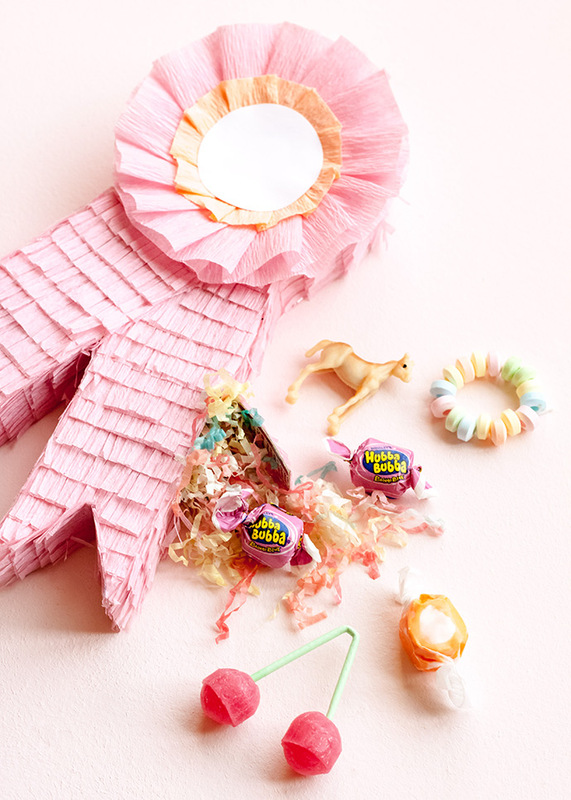 Glue the back of the rosette onto the middle of the circular part of the prize ribbon piñata. Use the trap door to fill with prizes! Happy Derby and Mother’s Day, and happy crafting! !